An official firmware Over-The-Air (OTA) update has been released for the AT&T subscribers of Samsung Galaxy S3 with model number SGH-I747. Samsung Galaxy S3 (AT&T) SGH-I747 users who have already updated their devices with Android 4.1.1 Jelly Bean, may root their devices using the tutorial below. This tutorial uses CF-Auto-Root file released by recognised XDA Developers, Chainfire. The CF-Auto-Root file allowing Galaxy S3 users to root their devices easily without depending on the firmware. It completely supports Android 4.1.1 Jelly Bean and future firmware as well. Head over to the CF-Auto-Root main thread to learn more about the root method. 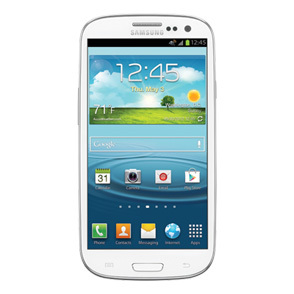 5) The CF-Auto-Root file works only on Samsung Galaxy S3 (AT&T) SGH-I747 running on Android 4.1.1 Jelly Bean firmware. Applying this to any incorrect variant might brick the device. Verify the model number of the Galaxy S3 by navigating to Settings >> About Phone. Step 5: In Odin, click the PDA button and select the CF-Auto-Root-d2att-d2uc-samsungsghi747.tar.md5 file. Samsung Galaxy S3 (AT&T) SGH-I747 running on Android 4.1.1 Jelly Bean firmware is now rooted successfully. You can now install any app that requires root permission. Verify the root status of the device by downloading Root Checker app from Google Play Store. AT&T has not yet release the JB 4.1.2 for the SGH-I747. How is this possible if this post is only for the JB 4.1.2. Step 6 would not allow me to make those selections because that area of odin would not allow me to click any of the boxes. Regardless, when I followed this step by step (except for step 6) and clicked start, it took about 30 seconds to fully root and reboot. This is a very good guide. when I plug the device in odin says it's added but the box does not turn yellow. And when I try to install it it fails. Try re-install USB drivers or changing the port on the computer. Make sure you have completed all the pre-requisites above. Does this work for SGH-i747M? If i root it with this option can i get the 4.1.2??? In order to receive Over-The-Air (OTA) updates you need to unroot the phone. For the case of root with CF-Auto-Root, you can unroot from SuperSU setting, there is option to unroot completely. Or if I cant can you tell me a step by step method to do so or send me a link??? thank you.. I used it and it worked great. Anyone know of a good wifi tether app that requires root access? As with the Galaxy Tab 2 10.1, my Galaxy S3 rooted perfectly using these instructions. I did get nervous that the "Pass" took a while to display after the phone rebooted. This worked wonderfully. Time: 2:09. Although I was worried when it said RESET in top left box. Took a little while to turn green. Were you running Android 4.1.2? My AT&T Galaxy S3 has been recently updated to Android 4.1.2. Can I root it using this method? Yep, try it and let us know. i have a mac and it doesnt seem to work for me? I am running a Samsung S3 on AT&T with the recent 4.1.2 update. This process worked perfectly. SuperSu (which I had already had installed) had everything rooted that was supposed to be. I even double checked by running Game Killer as it says "rooted" or "unable to root" depending on your current root status. Thank you to everyone that put this together and laid out the files so simply. Perfect. Thanks a ton works like a charm on my AT&T Galaxy S3 running Jellybean 4.1.2.
thanks for the impressive guide!! its importent that my phone will be over 80% battery life? FINALLY FIND ROOT FOR MY DEVICE!! Worked for me. Now, how do I install roms???? Do I need CWM or what??? i got the samsung s3 i747(at&t) which has already been root to Android kitkat 4.4. is it possible fornto root it back to jbeans 4.2 with this step.